The Hunter Valley, Australia's oldest and most revered wine region has today launched the Hunter Valley iPhone and iPad apps. The apps, both varying in functionality and structure, offer users unprecedented access to the most up to date information on experiences, places of interest, wineries, accommodation, restaurants and more with exceptional user experience. · The Food Fanatic – lover of all things gourmet, be it local fresh produce or award winning restaurants, with a little wine thrown in for good measure. Hunter Valley Wine Country Tourism (HVWCT) Executive Manager, Dean Gorddard said "We're really excited to launch this innovative iPhone app to the market. These days people rarely travel anywhere without having consulted the internet or an app for advice on where to stay, eat, drink etc. We wanted to make this process even simpler for visitors to the region. We've taken the hard work out of it by introducing the concierge interface meaning users can plan their entire personalised trip in just a couple of taps on the screen." 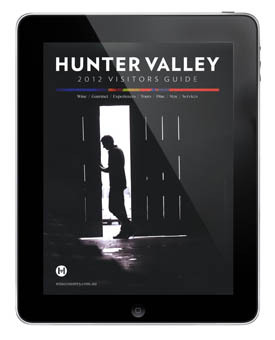 The Hunter Valley iPad app also launches today and brings to life the Hunter Valley Visitors guide with integrated multimedia and the opportunity to share details via social media channels. Users of this app can access detailed information on the Hunter Valley wineries, tours, experiences, restaurants, accommodation, upcoming events, such as Wine and Food Month in June, and more. The information on the region is brought to life with imbedded movies and slideshows allowing users to really engage with the content. "There's a lot going on in the Hunter Valley and we know that different visitors will require varying information when they plan a trip or indeed visit. This app is intended to give users a feel for what the region has to offer and the opportunity to search for information that will enhance their experience of the Hunter Valley. 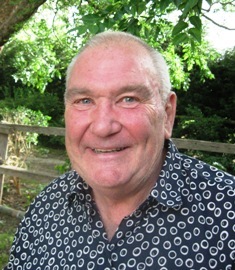 It brings the whole region to life," said Mr. Gorddard. The apps have been developed by Hardie Grant who have a successfully published a range of iPhone and iPad apps including Foodies Guide to Sydney and Melbourne, Rockwiz and Wine Regions of Victoria.